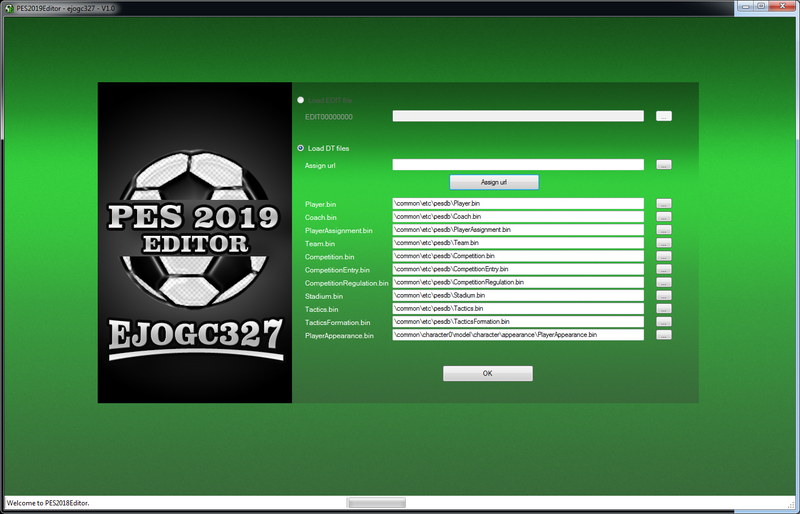 The new updated tool by Ejogc327 will make you easier to edit Pro Evolution Soccer 2019 PC game. Data files: works for DT10.cpk (DT36.cpk PlayerAppearances.bin) decompressed (don't need decompress each file .bin). Correct fake names: Players, Teams, Coachs (CSV files). 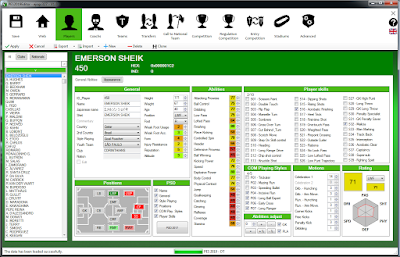 Player assignments (DT mode) or rosters (EDIT mode). Selected player or player + appearance. All players from a team or player + appearance (Only export). If you love this tool, you can donate to the author. Donate here ! 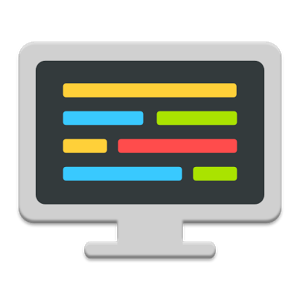 This tool is in English, Spanish, Italian and Portuguese. If you want add another language in other version, please translate the file ENG.txt and share it. 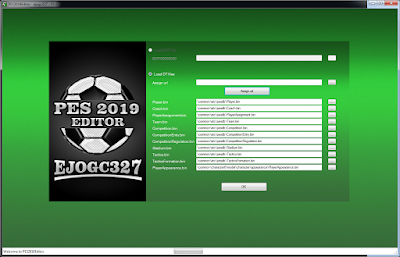 If you import new teams in Teams.bin, the game can't create EDIT file. You'll need create EDIT file with the new teams manually or importing in EDIT file too. The CSV files can be separated by comma, semicolon or tabulation, but must be *.csv. The CSV files must be UNICODE or UTF-8 to get special characters. In EDIT mode, can't create players with any Id. It must be higher than 1048576 (0x100000). To import the order don't matter, but the headers do. You can't change them. You can export and import between PES2017 and 2018. Before use this tool, make a backup. Some Antivirus will mark the program as harmful, it's a false positive / false detection from AV. Make sure you turn off your AV before using the program.